Dr. Edda L. Fields-Black is an Associate Professor at Carnegie Mellon University, specializing in pre-colonial and West African history. With research interests extending in the African Diaspora, Fields-Black has conducted research and lived in Guinea, Sierra Leone, South Carolina, and Georgia to uncover the history of African rice farmers and rice cultures. "I grew up in Miami, Florida immersed in Caribbean and Latin American culture with two Gullah-speaking paternal grandparents, Jim and Mamie Fields. My father’s nuclear family had moved to Miami from Green Pond, South Carolina when my father was in elementary school, the third grade to be exact. As a child, I remember being aware of the difference between my grandparents’ accents and the West Indian accents that were so familiar to me in southern Florida. If anything, to my immature ears, their speech was akin to West Indian immigrants, of which my mother’s family in particular and Miami in general had many. When I was approximately seven years old and my sister was nine, our family began taking my grandmother to Green Pond every summer to visit her mother, Anna Richards Frasier, my aunt Ruthell Fields, and other extended relations who still lived in Green Pond, Whitehall, and Over Swamp. My mother's historical and genealogical research about my father's family in preparation for and during our family summer vacations was my first inkling of Gullah as both a rich language and culture with its own peculiar history. It also ignited a thirst in me which could not be quenched in a summer vacation. More than anything, I wanted to speak Gullah, a language which my father understood but did not speak (at least not to my knowledge), and therefore could not pass down to me. As the first generation to be born and raised outside of the Lowcountry, I did not want to be the link which broke the chain of transmission. My desire to speak my paternal language propelled me to travel first to Sierra Leone in 1992 as an undergraduate where I set out to learn Krio in order to communicate with my great-grandmother in her own languageor at least as close to it as I could come. After the rebel war in Sierra Leone made life in Freetown untenable in 1996, I traveled to coastal Guinea as a graduate student in 1996 and 1997-1998 to conduct fieldwork among coastal rice farmers. In hindsight, I chose to study rice farmers and to travel to West Africa’s Rice Coast region, so that I could live and work as my paternal great-grandparents had lived on plantations in Beaufort and Colleton counties, South Carolina. 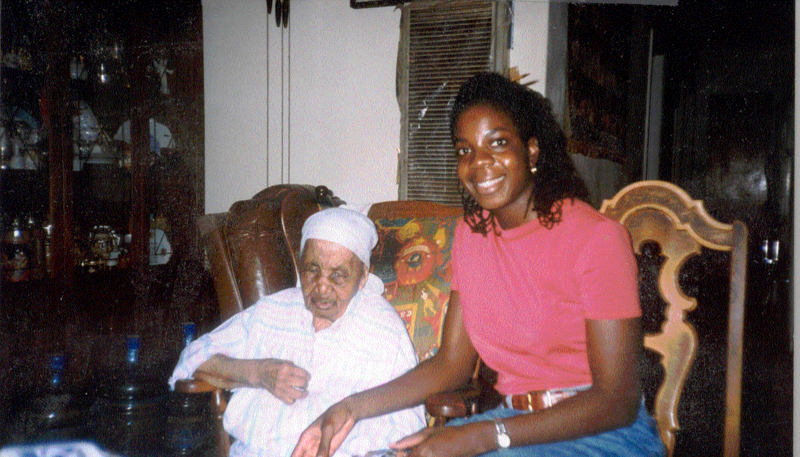 By the time that I began traveling to Sierra Leone and Guinea, learning to speak Krio and to plant rice, my great-grandmother suffered from dementia. She spent most of her days in a rocking chair at her daughter, my great aunt’s, home in Miami. Some times, she bent over reached towards the ground with her hands, held her fingers together, and pushed them towards the ground. 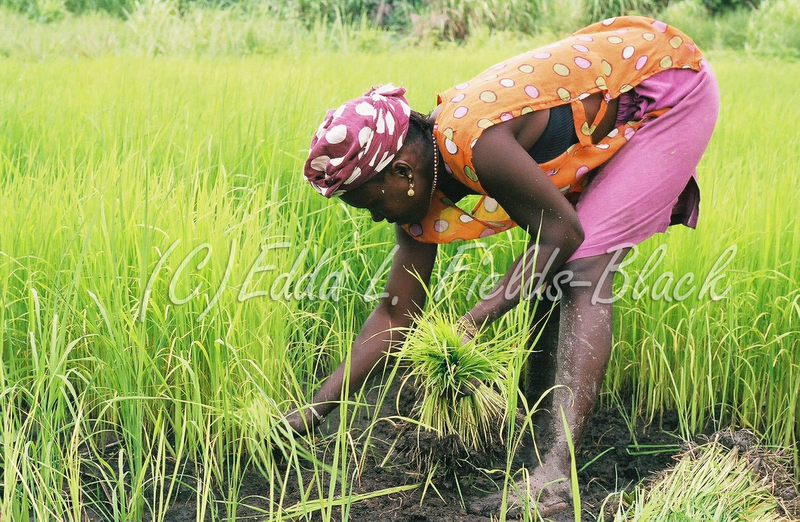 After spending the rainy season planting rice with women’s associations bending over in the swamps and pushing rice seedlings into the moist earth, I surmised that she was pantomiming actions that were part of her daily life as a younger woman. She was planting rice."